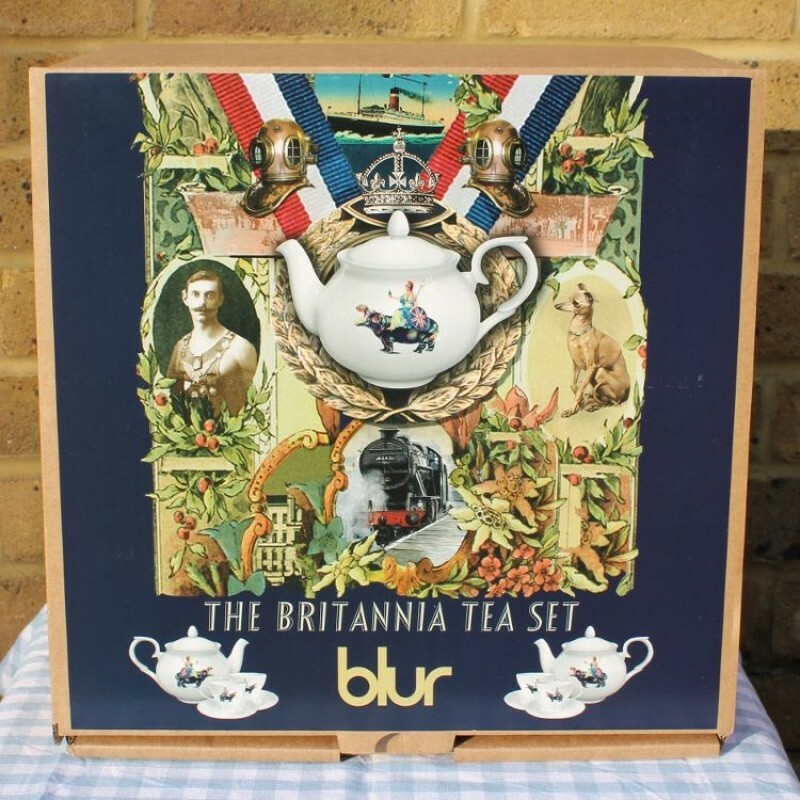 Celebrate the number one British pastime of tea for two with Blur's very own Britannia Tea Set. 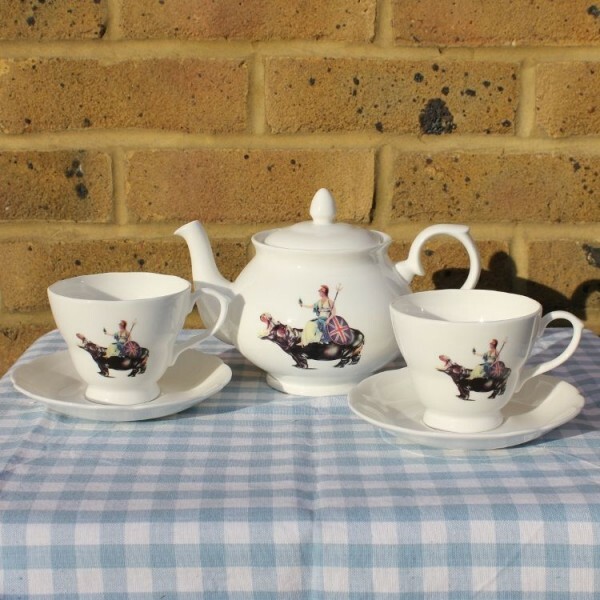 Manufactured in the heart of The Potteries from fine bone china the set includes one tea pot plus two tea cups and saucers embellished with Blur's Britannia and Blur logo back stamps. 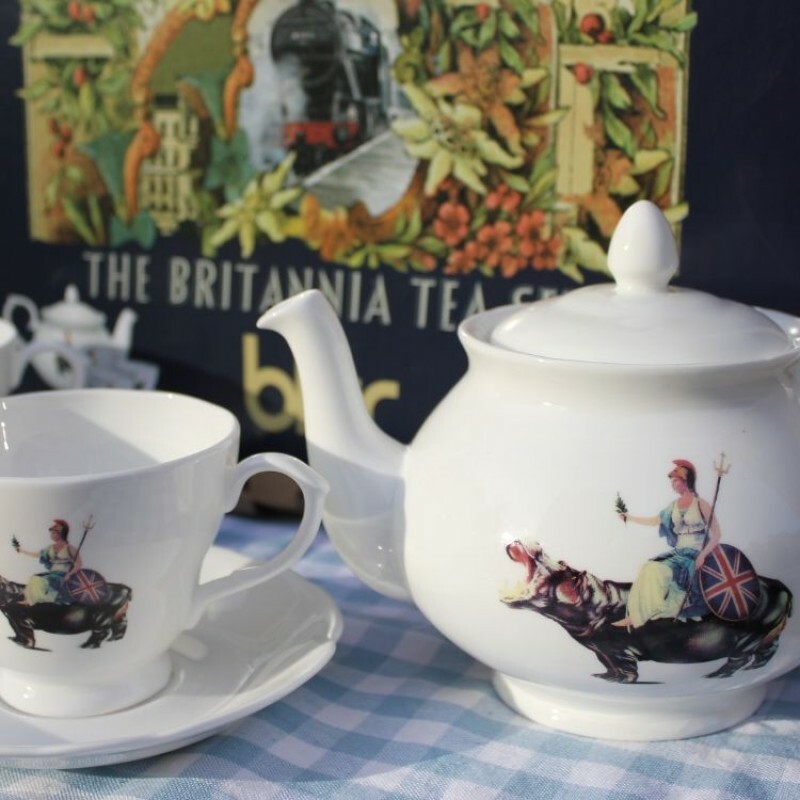 The tea set also comes safely packaged in its own Britannia branded box. 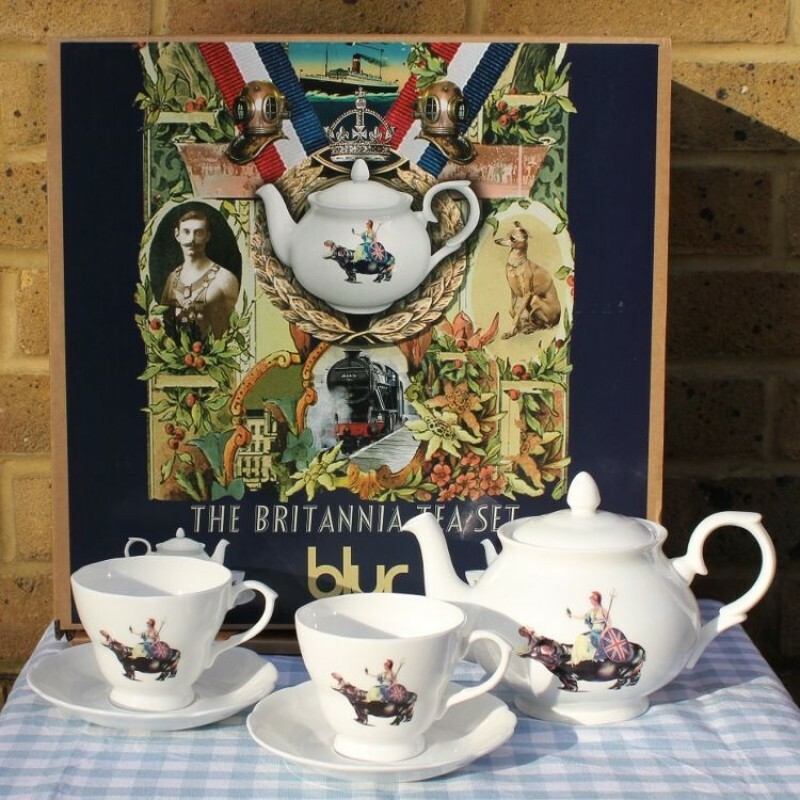 Celebrate the number one British pastime of tea for two with Blur's very own Britannia Tea Set. Manufactured in the heart of The Potteries from fine bone china the set includes one tea pot plus two tea cups and saucers embellished with Blur's Britannia and Blur logo back stamps. 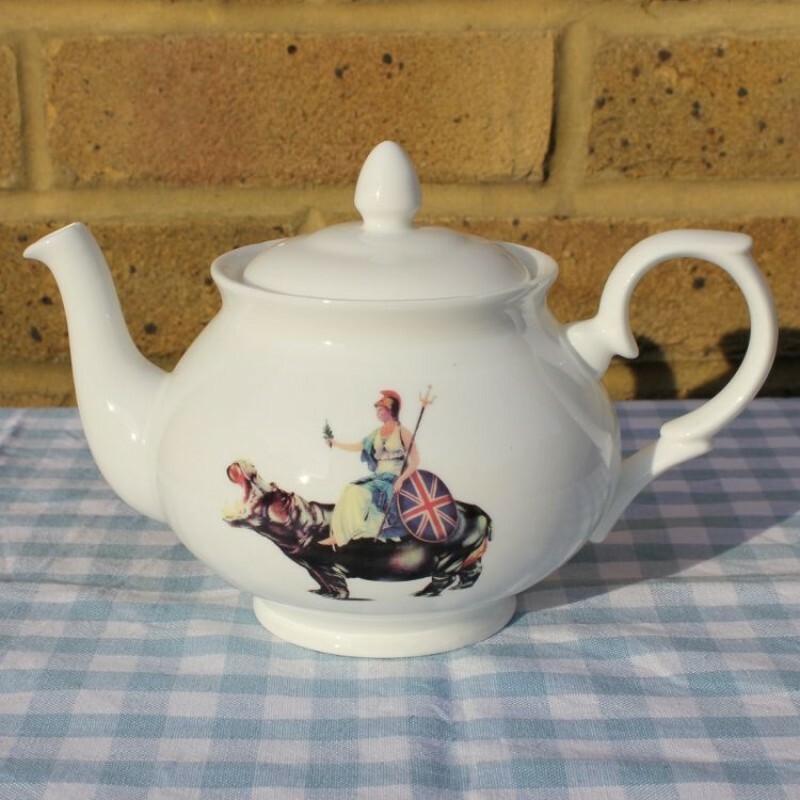 The tea set also comes safely packaged in its own Britannia branded box.